Your kitchen. It is so much more than the place where you adjust your oven temperature. It is not only the space where loving family meals are created and new recipes come to life (or fail miserably!). It is a space in your house that serves a dual purpose: where you prepare your feasts, but also where conversations and socialising take place. How many guests always seem to flock to the kitchen? And how many gatherings start (or end up) around the kitchen island? It really is a magical spot in your house – which brings us to an important element to consider: your kitchen furniture. 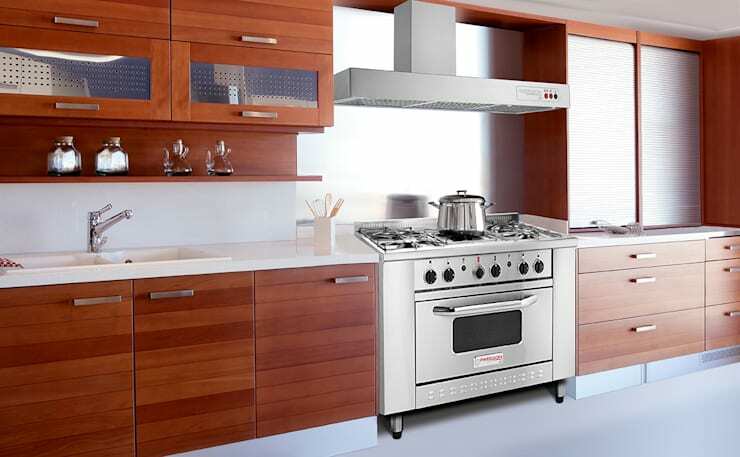 Granted, your kitchen furniture won’t make much of an impact on the quality of your cuisine, but the ambience that goes along with the cooking will definitely be affected. Your need room to breathe and move freely in your kitchen. And cooking and socialising is much more enjoyable when you can effortlessly find every bowl and whisk you need. If your kitchen currently isn’t meeting your needs in terms of working space, it may be time to consider some new kitchen furniture. Carts, cabinets and racks take up space, yes, but they also save you space in terms of storage. And they add a fresh new style to your old surroundings – the perfect way to spice up your kitchen. 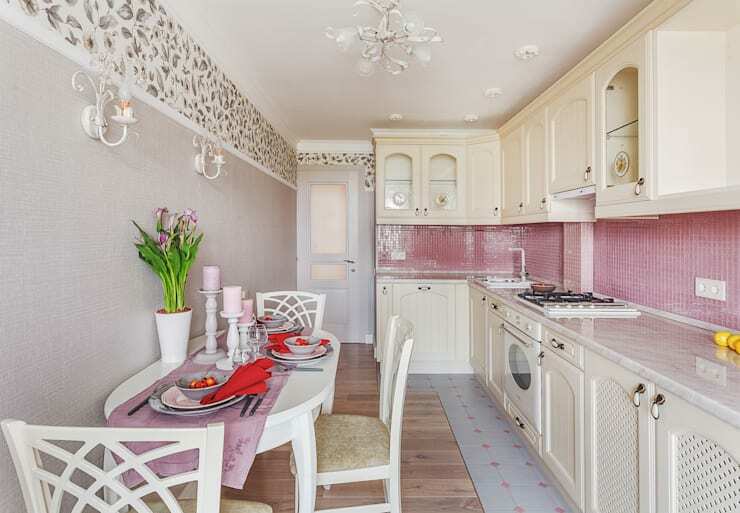 If your kitchen is small, don’t opt for large furniture – pick a small breakfast table and have a separate dining space. And if you have the space to play with, then by all means add in that large dining table with sufficient seating for those kitchen gossip sessions. homify hint: the functions of a kitchen that serve a family of demanding toddlers are very different from the one designed for a new couple – in terms of both cooking necessities and functions. A large family will use the kitchen a lot more, so take that into consideration when deciding on furniture. So, you’re remodelling your kitchen, and are faced with that crucial question: open plan or not? With an open kitchen, the area becomes an integral part of your home. It has become the go-to style, especially for families. It is the area where children do homework while the parents prepare dinner, and everyone catches up on the events of the day. This will affect your choice of furniture, as you’ll need to have sufficient seating options, a table/island of ample size, etc. Ask yourself what you consider more important: an efficient, functional kitchen with better appliances, materials and cabinetry, or an open layout that is the centre of the room and connects to the rest of the house? If you feel that you’d rather leave your smells and spills behind when preparing (and serving) a meal, a closed layout might be for you. Your kitchen furniture should complement your home decor – whether you have a rustic style kitchen in your 50-year old house, or a new-age contemporary cooking area in your modern loft. You want that harmonious flow in your house to continue in your kitchen, so go for a theme that fits in with what you currently have at home. If you want to go for a minimalist look and feel, ensure that it feels well organised, and that your chosen shades have a temperate touch. homify hint: choose the right accents to draw attention. A classic wooden knife block can have a stylish effect on your stainless steel kitchen cart, while copper pots will lighten an industrial-style wooden baker’s rack. Mixing and matching is part of the fun – just make sure it works. See what the professionals at Urban Myth can accomplish when they tackle a kitchen design. Your kitchen space not only has to look great, it also has to be practical. A kitchen island is extremely functional in terms of surface space and socialising area (especially if it comes with seating), and can be the ideal storage unit for utensils, pots and pans, cookbooks, etc. However, installing an oversized island in your limited kitchen space defeats the purpose. Be sure you have adequate kitchen space that allows you to move freely (without tiptoeing around guests or family members) before considering an island. And should you decide to splurge on an island, ensure it has sufficient drawer- and cabinet space for your cooking collections. homify hint: opt for a mobile island if your space allows for it. Wheel it into your kitchen for some chopping and preparing (and chatting), then simply wheel it out of the way again when not in use. Whether or not a kitchen island is your wish, feast your eyes on 10 Complete Kitchens You’ll Love. When shopping for new furniture, it can be very difficult to be level headed. Usually when we see something that can be useful in the kitchen, we want it – even if it doesn’t match the design theme. Remember that your kitchen additions (whether they be decor or furniture) need to fit in with your overall style. 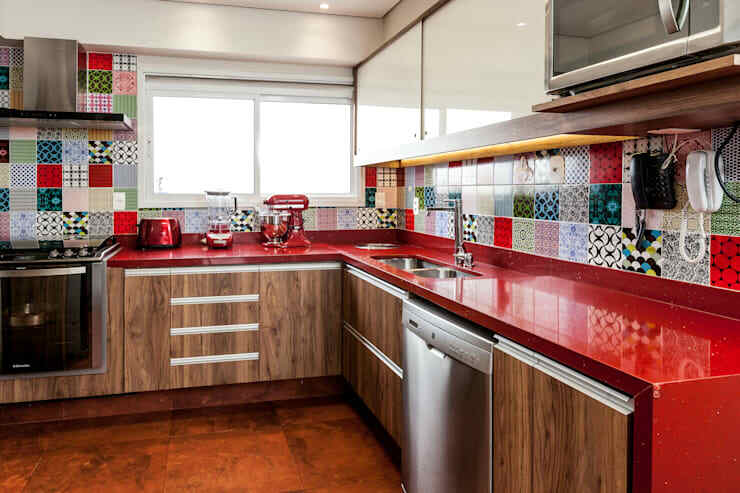 There are numerous materials to choose from for your kitchen furniture (from timber to stainless steel), so mixing and matching might not be the best thing to do. A stainless steel rack/cart fits in perfectly with a contemporary kitchen, while an all-wood island is a great option for those who want a rustic feel. Know what your kitchen style is (or will be), and stick with it. That way, your kitchen furnishings will not only work well practically, they’ll also work well aesthetically. homify hint: your kitchen area takes a lot of abuse (from cutting and chopping to heating and boiling), so your furniture need to be well built. 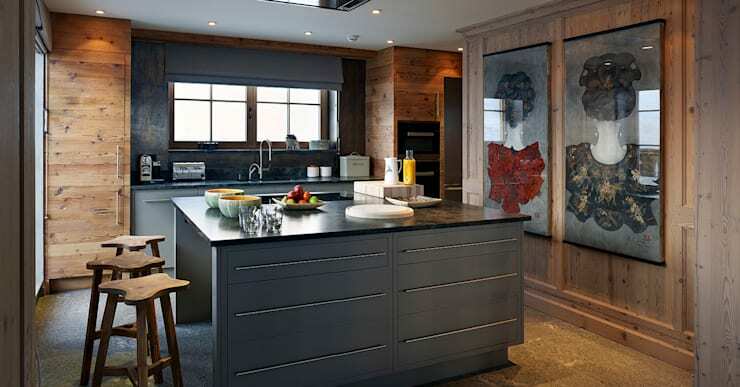 Don’t try to save money on your kitchen remodelling budget by opting for cheap kitchen furniture. While you don’t have to shop for the most expensive goods, good quality is a vital factor! 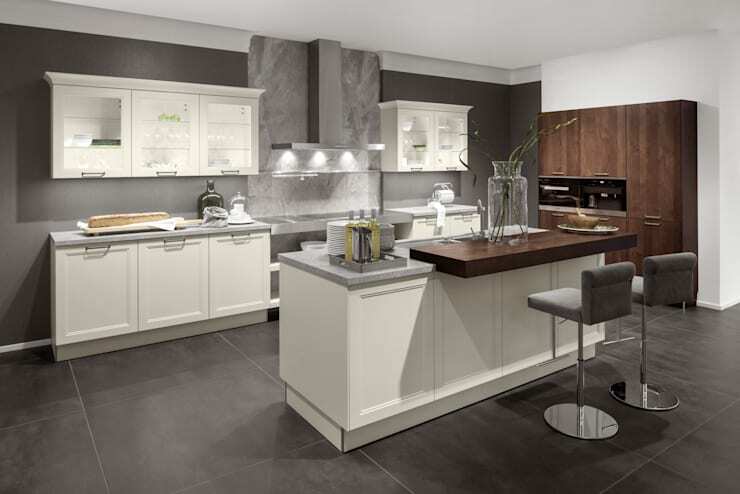 Colour is a major factor when shopping for furniture, but bear in mind that you don’t have to have a perfect match for your kitchen furniture (alabaster white will fit in just fine with powder white, so don’t stress). By why not take advantage of the situation when you’re struggling to match colours? 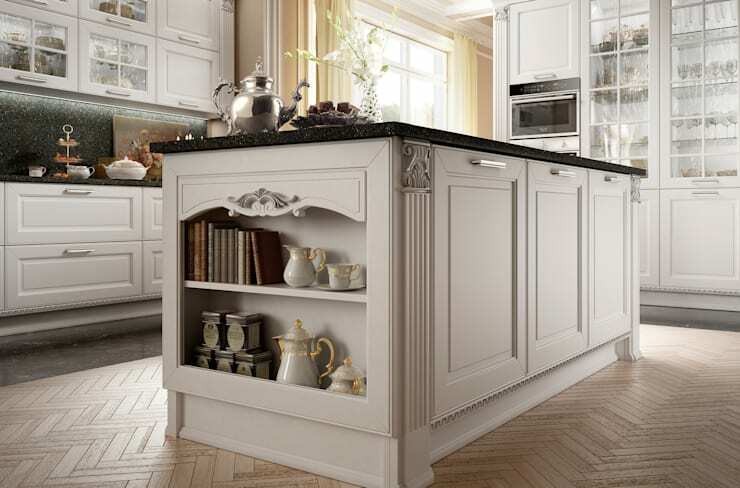 A contrasting palette can make kitchen furniture and decor stand out quite efficiently. Pick your kitchen’s main colour on the colour wheel, then opt for a hue that’s next to, opposite, or the shame shade for your furniture. And remember: neutral is always a safe option for a kitchen backdrop palette, as it means your furniture can be any colour for an eye-catching effect. homify hint: good furnishings in your kitchen are one thing, but the right accessories are quite another. To save your kitchen from becoming a bland and boring space, do some matchmaking – a stainless steel spice rack can be the perfect shiny companion to your red kitchen walls, for example.